For ten years between 1965 and 1975, James Brown was the most popular and cutting-edge of any black artist. As one journalist put it, “before Brown, there was music with a beat. After Brown music had found a groove.” The drawing out of this “groove,” leveraged on “the one,” – or the first and third beats of a 4/4 bar, – would provide the key to much of Brown’s subsequent musical success and instil within popular music an unprecedented drive that would characterize not only the funk style, but also provide the rhythmic blueprint for dance music up to the present day. 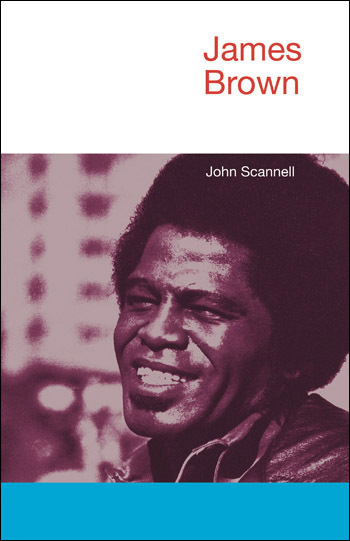 This book explores how funk emerged in the mid-1960s at the very apex of the civil rights movement and shows how this music mirrored the broader changes taking place within the African-American community at a crucial political time and continues to this day to underpin remix culture. It traces the extent of the Brown legacy, musically, culturally and otherwise articulating decisive links between Brown’s work and the DJ culture that embraced it so emphatically that Brown is now considered to be the most widely sampled African-American recording artist in history; many of Brown’s refrains – the screams, the horn stabs, the “funky drummer” breakbeats – have been sampled so often as to have seemingly become part of the public domain. Traversing the past forty years of popular music, the book explores how the ubiquitous presence of Brown’s groove, the affective and transformative capacities of a grunt or a well-timed “Good God” or punctuating scream take over where language fails and have made Brown one of the greatest musical innovators of the twentieth century.